Co-parenting when both parents get along can be challenging, but when one ex-spouse tries to undermine the other, it can be ugly. Stereotypes have some of us assuming that if there’s an ugly divorce that it’s the man who’s to blame. 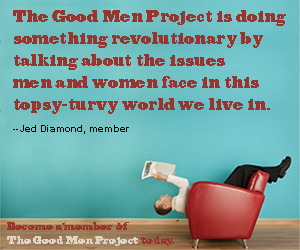 We imagine that he’s oppressing his ex-wife and that she is the innocent victim of his abuse. But we all know the problem with stereotypes: they’re often wrong. I discovered this first-hand many years ago when a male family member of mine when through a divorce. That’s when it became painfully obvious to me that there are plenty of ex-wife bullies out there too. 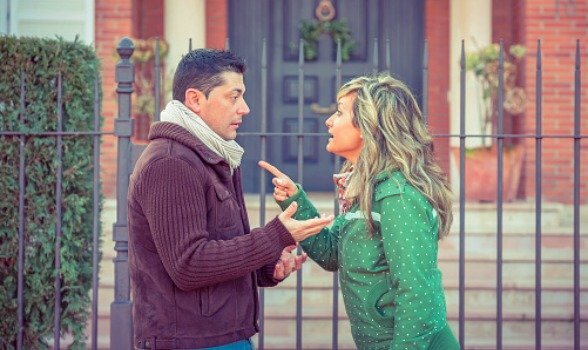 How can you tell if your ex-wife is a bully? She manipulates by withholding child visitation. This is one of the cruelest and most vicious bully tactics. (If you were a true threat to your children—as she might be claiming—the court should become involved in deciding what safe visitation is.) But her deciding to not let you see the children because she’s mad at you—for having a new girlfriend, or giving the kids junk food, or saying something unkind to her— is NOT a reason to keep your children from you. Nor is her wanting increased child support more important than the children’s time and relationship with you, their dad. According to an oft-cited study “Visitational Interference—A National Study,” by J. Annette Vanini, M.S.W and Edward Nichols, M.S.W., “77 percent of non-custodial fathers are NOT able to ‘visit’ their children, as ordered by the court, as a result of ‘visitation interference’ perpetuated by the custodial parent.” FYI: that’s often the woman! In other words, moms not honoring court ordered visitation is a significantly BIGGER problem (three times bigger, actually) than dads not honoring court ordered child support. And you better believe keeping your children from building a relationship with you, their father, impacts them negatively. She undermines and belittles your parenting. She desperately wants to believe that SHE is the only “good parent” and that everything you do with the kids is stupid, shocking, terrible … and wrong. If you dare to parent differently than she does, she criticizes. And if you try to actually follow her parenting style, she implies you continually fall short in some way. She can also undermine and belittle you by initiating conversations with your children for the sole purpose of berating you, their father. If she’s having these conversations, it’s nothing but an obvious (and selfish) attempt to drive a wedge between your kids and you. She micro-manages your interactions with the kids to prove she’s the boss. You want to take your kids camping? Unasked, she sends along sunscreen and bug spray. You ask if you can pick the kids up at 6:00 pm, and she says 6:30 pm just to make you wait. You say you’re going to take the kids to a new movie, so she takes them first before your visitation day. When your parents gift your child with money for his birthday, she takes it and then tells your child she’ll decide how he’ll spend it. Bottom line: She doesn’t get to control what happens at your house. Your ex-wife doesn’t get a say in how or when you move on to a new relationship. And she definitely doesn’t get to pick what toothpaste the kids use at your house. First, limit communication. Start by keeping your communication with her brief, informative, friendly, and firm (BIFF). And avoid apologies. The less ammunition you give her, the less of it, you’ll receive. Finally, start standing your ground. Sometimes the best thing to do is call a bully’s bluff. Never do this in the heat of the moment; calling her bluff and standing your ground are things you do when you’re calm and communicating clearly. You regain control of your life and stop the emotional bullying only when you clarify and honor your own boundaries. Yes, but she’s so frustrating! The reality is, no matter what you do and how well you avoid caving to your ex-wife’s bullying ways, she’s still probably freaking out and behaving poorly when she doesn’t get her way. And you’ll likely feel frustrated and angry when she does. That’s normal and understandable, but it’s definitely NOT okay that she puts her own anger and ire above the health and happiness of your children. The most important thing is that your kids have a happy, rock-solid relationship with you. So pick your battles and keep your eyes on the long-term game instead of the moment-to-moment skirmishes she is so fond of starting. This is how my family member handled his bully of an ex-wife. He definitely felt pissed at his ex, but he stopped taking the bait when she taunted him. He worked with an attorney when she got really out of control. And, most importantly, he made his relationship with his sons his absolute top priority. And as a result, he has terrific relationships with his boys. Remember, your kids are paying attention. So focus on building a positive relationship with them, instead of engaging in a negative battle with your ex. Wow this is spot on. Thanks for the tips! Yes, it goes both ways, but for the men out there being bullied, please remember this. The day you got divorced is the day you got a lifetime pass from ever having to argue with her again. You may regard her bullying as you would a person in traffic who cut you off. You received a permanent reprieve from ever allowing her to “make you feel bad” again. This is the time to sharpen your ability to own your mood and your responses and model for your kids how a strong man handles adversity.